Panama-based Duty Free Dynamics has announced a distri-bution partnership with Zeon Ltd., the global licensee of Braun watches and clocks. 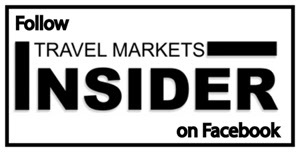 The deal covers the Travel Retail channel in the Americas, and is effective as of June 1, 2016. Duty Free Dynamics (DFD), part of the Liberman Group, was created specifically to cater to brands aiming to establish a solid presence in the Travel Retail channel throughout the Americas. DFD was founded in 2015 to handle the distribution of Guess Watches in the Travel Retail Channel of Latin America and the Caribbean. The addition of Braun’s award-winning collection of clocks and watches to the Duty Free Dynamics portfolio fits in perfectly with the company’s objective, and complements the work that DFD has accomplished so far with the Guess fashion watches, DFD General Manager Guy Bodart told TMI. Braun is known for design-driven and innovative electrical products. 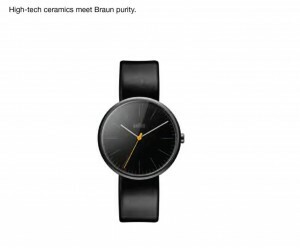 Braun’s minimalist, clean aesthetic was built around the brand ethos ‘less but better’. In 1975 Braun launched a range of clocks and watches based on the established visual language that made Braun products iconic. In recent years this range has been revived and updated to bring the past forward. Zeon Limited, a wholly owned subsidiary of the Hong Kong listed Herald Group, is a leader in the global timepiece market and holds a diverse portfolio of leading international design, fashion and lifestyle brands including Ingersoll, Vivienne Westwood, Barbour, and Braun. It is also a major supplier of OEM product.